Nice phone.battery also good.but my device was going suddenly off.somany Times I faced such problem.net also fine. The lags...and the restart prob... Occurs... Nearly... To all the xperia.. Miro. 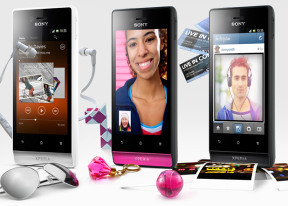 Is there anyone here already upgraded their xperia miro to jelly bean o.s? Any changes? I'm experiencing same problems like automatically restarting and lagging. I'm planning to upgrade my phone so I can use it smoothly. I have wt19i and I dont need tipo or miro nothing new to get. Why it can't make a video call like gt5620? I can't play high quality videos in miro.So plz help me by doing what I can play high definition videos in it.